Grander Music was founded by Don Halterman to make meaningful music that impacts the world. We invite you to become a part of the Grander Music difference! She hopes you sit back and take in all that is grand about Grander Music. A Maryland native, Audrey has been singing and acting since the age of 3. You may have heard her sing The National Anthem, as she sings it frequently at local events. 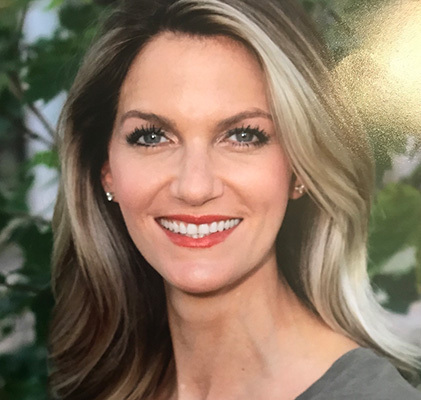 Audrey has appeared on several national and local commercials as well as television shows including The Wire, Nightmare Next Door, CarMax , and Mattress Warehouse. 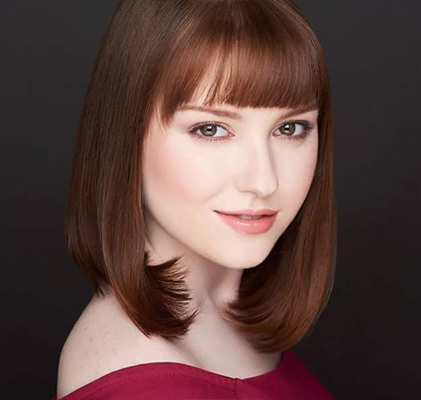 Audrey has performed on the stage of Carnegie Hall, various community events and enjoys being a singer for Grander Music . “I love to sing the songs written by Grander. They are meaningful and fun to sing!”, Audrey exclaims. She lives in Haymarket Va with her husband, 3 children, a dog, cats, a chicken, and goats. Nick was raised in Centreville, Virginia where he developed his love for music. The son of two musicians, it was apparent from a young age that he would pursue a career in the performing arts. He attended Westfield High School where he decided to give up sports and focus his full attention on the theatre department, and music. He then went to Shenandoah Conservatory to study Music Theatre. After graduating, he moved to New York City where he resides to this day. 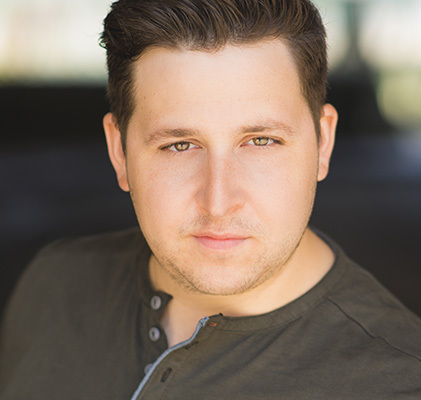 As an actor, Nick has traveled all over the country in numerous shows, and has also performed in Asia with the touring musical, Sister Act. As a musician, he has performed all over New York City, in such venues as Feinstein's/54 Below, the Laurie Beechman Theatre in Times Square, the Metropolitan Room, and many others. This past summer, he traveled to Sonoma, California where he was in a Broadway Revue, and also did some community outreach to help the area rebuild after the devastating fires. When Nick isn't performing, he is probably hanging out with his friends in Central Park, or screaming at the television while watching the Washington Nationals, or cheering on the Indianapolis Colts. Michelle Ann is a classically trained singer-songwriter and multi-instrumentalist, currently residing in Northern Virginia. The 31-year-old musician was born in Southern California before moving to Northern Virginia as a young child. Michelle is a veteran performer who released her first single in December 2017. She is currently working on new material, including original songs she holds close to her heart, scheduled to debut later this year. Michelle has such a passion for life, love and music, and this is expressed clearly through her lyrics, voice and stage presence. Michelle’s vocals are “incredibly warm, dynamic and soulful.” Michelle would tell you that her style is: “soul-pop;” however, she doesn’t want to be confined within the borders of any particular genre as she enjoys singing all types of music. While growing up, Michelle’s family introduced her to a vast array of music, so she continues to stay open and enjoy all genres of music. Some of her favorites now include anything from Broadway to Indie rock. Some of her favorites artists include the classic R&B sounds of Michael Jackson and Stevie Wonder, the pop sounds of Sarah Bareilles and Gavin DeGraw and the Broadway sounds of Idina Menzel. Although her family knew from the beginning music was going to a special part of her life, Michelle recognized her passion for music when she joined the children’s choir at her church. Over her high school years she learned guitar, was in two choirs, musical productions and the Wind Ensemble. Present day, she has an interest in learning the lap steel guitar—so you can see craving to expand her repertoire is in her blood. Michelle is a 5-star rated solo artist on WeddingWire.com and has been the lead vocalist in numerous cover bands here in the DC area. She also spent 8 years as a lead vocalist and keyboardist in a contemporary Christian band, “Upon This Rock,” performing at festivals, concerts, mission groups throughout the mid-Atlantic and served as the house worship band at a local church. This experience challenged Michelle to explore many different singing styles, helping her cultivate her unique style as a vocalist. Throughout her musical career, Michelle has taken the stage in front of audiences of thousands to more intimate settings. The vocalist says that is doesn’t matter the size of the audience as long as one person connects with the music, that’s enough for her. One of her most memorable performances took place at the Kennedy Center for the Performing Arts in Washington, DC. Other venues include the University of Maryland Concert Hall, cathedrals up and down the east coast, churches, retreats, festivals, parties and bars all across the tri-state area. 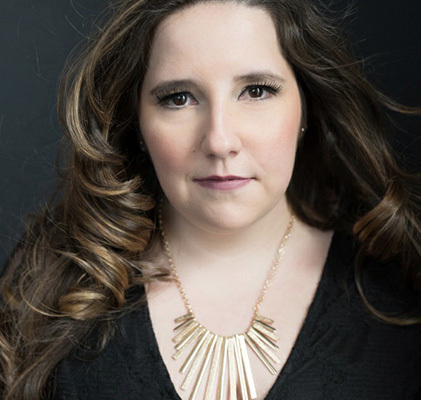 Michelle Ann released her first single, “Purpose,” in December 2017, which was a collaboration with Don Halterman of Grander Music. Purpose delivered a message for the Christmas season and all proceeds from the single were donated to Bethany Christian Services, the adoption agency that brought Michelle and her family together. Michelle’s mission is to write music that helps connect and heal the hearts that listen, through her lyrics, music and performance. She believes that God gave her the gift and love of music and that this gift is part of His plan and her purpose. Preform at the “Night of Grander Music.” She will be debuting an original song for the first time live, in addition to the Grander Music collaborations. Her debut Single: “Purpose” is available on iTunes, Spotify, Amazon Google Play and CD baby.